So I recently had my first all-inclusive holiday experience. I used to have a slightly negative view of package holidays as they had cheap and cheerful connotations. However, the Monte Carlo Sharm El Sheikh Hotel was anything but. After a rather hectic time, hubby and I were determined to have a relaxing getaway. We’d done the city breaks (Paris, Rome, Hong Kong and Singapore), the adventure holidays (Iceland and Morocco) and the monument hunts (Cambodia), so a break doing not much at all was very welcome indeed. I wasn’t sure what to expect of Sharm El Sheikh as it was our first trip to Egypt, however, I have to say, based on the hospitality at the Monte Carlo Sharm El Sheikh Hotel, the service was up there with some of the best in Asia, though they didn’t quite have the efficiency of their highly lauded eastern counterparts, at least on our first day. Our hotel was about 20 minutes from the station, and a short cab ride from the main tourist areas of Soho Square and Narma Bay which had shops, restaurants and bars. 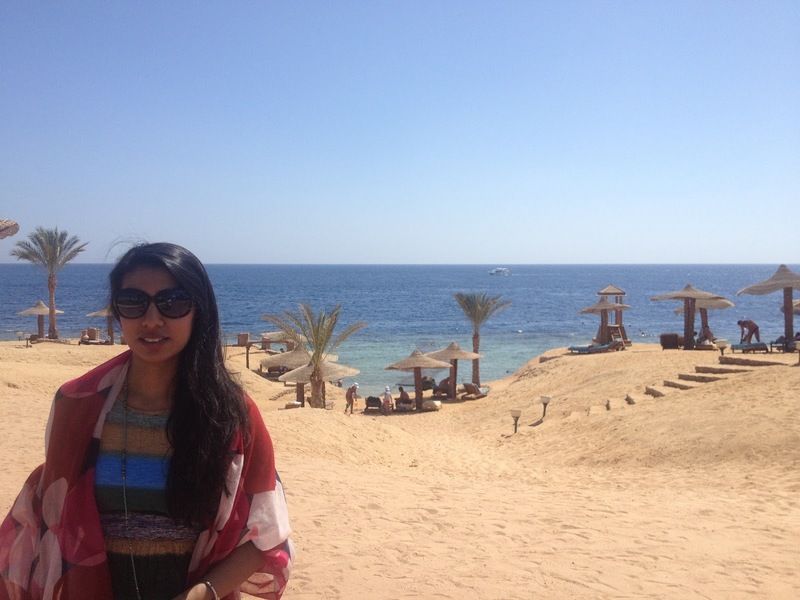 While I had slight reservations about visiting Sharm el Sheikh (the media has a habit of putting the fear factor into holiday goers, and at the time of writing, flights to the resort from the UK are still suspended) I was pleased to say that Sharm El Sheikh felt incredibly secure. Our resort, which was situated in its own gated community, had a government-run security checkpoint on arrival and our bags were scanned as we entered the hotel. This airport style security is commonplace throughout the whole area, and adds reassurance to any nervous guests. well as the Royal Lounge. However, we were given two welcome drinks while we waited in both suites, and generously presented with a welcome plate of fruit and biscuits once in our room. We were then given wristbands to wear which identified us as Royal guests, which we had to wear all week and they were cut off at the end. I thought this was quite strange, having to wear an ID band at all times. But then I realised that this was the norm in Sharm el Sheikh, as every holiday goer on every resort seemed to be sporting a different coloured band. also available for an additional fee. Oh and if you’re feeling sporty, there’s a tennis court, which I was tempted to use, but the desert heat made me decide otherwise. 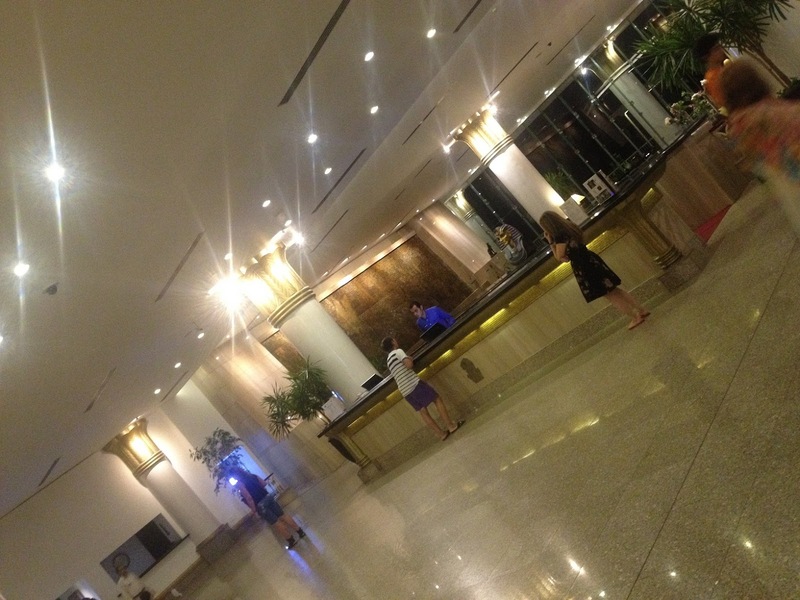 So what did we get for going for the Royal Monte Carlo Sharm El Sheikh Hotel option? room. As part of the Royal concept, staff at the lounge would also book your restaurant reservations for the evening, in any one of the five on-site restaurants serving different cuisines. 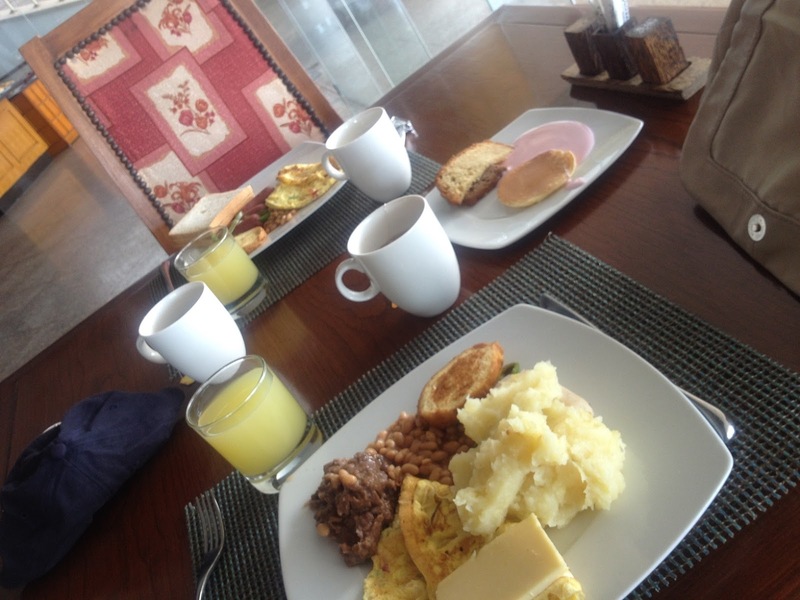 In fact, the staff were as welcoming and as accommodating as could be. Poolside, we were offered welcome pancakes, staff would often come and offer us drinks and ensure that our every need was catered for. Another huge plus of the Royal experience was that we had a late checkout for free, whereas regular guests would have to pay extra. We’ve been in situations where we haven’t had a late checkout, such as our stay at the Sirayane Hotel and Spa in Marrakech, and we had to hang around the main areas of the hotel like bad smells in the baking heat. One point I have to make however, is that the food served up at the Royal lounge was a bit bland. I figured that in Sharm El Sheikh, they loved their mashed potato and sautéed carrots and cucumber, as that was on the menu every day, along with some beef and chicken. However, the concierge at the Royal lounge once asked my opinion of the food, and when I suggested they cook the potatoes another way, the very next day we were served with potato wedges. Now that is speedy service. Now, being a natural foodie, there is no way that this review can go without a mention of what we ate. And I’m sorry to say, it wasn’t that great. But I don’t think that this is necessarily a criticism of the Royal Monte Carlo Sharm El Sheikh Hotel in particular, it’s just that the food in Egypt wasn’t my cup of tea. Being brought up on flavour and spice, Egyptian food is just too bland for my liking. There were five restaurants on site, each serving different cuisine. On our first night, we went to the Italian, as it had rave reviews. 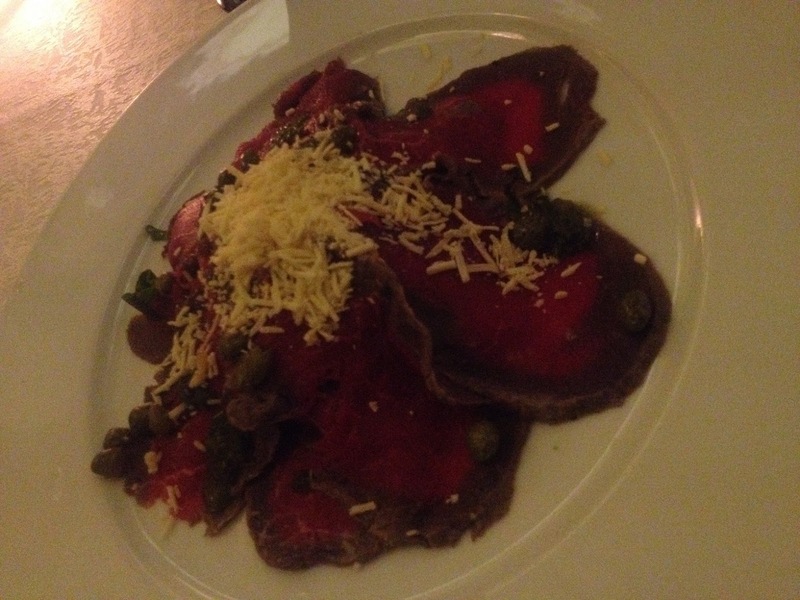 I ordered a soup, which was good, followed by a beef carpaccio, which I then learnt was raw meat. Oh dear. I then opted for a safer version of lasagne, which you can’t really get wrong, can you? Well, it turns out you can. Beautifully presented, the lasagne meat lacked salt, garlic, tomatoes, pepper, or any other flavour. In fact it looked and tasted like boiled mince. The following night we ventured into the Lebanese restaurant, which was better, though the skewered meats were cooked to crisps. We also tried the Indian restaurant, which was better, perhaps because Indian cuisine dictates that you must have some flavour. Though it wasn’t all bad, we ended up trotting to the beach hut to have chips and burgers, which you really can’t go wrong with. To be fair, I think that the resort was catering to its largest customer base of Russians, who make up for around 85% of their guests. This is true across all of Sharm El Sheikh, so I imagine that the food would have been similar had we stayed elsewhere. So it wasn’t the foodie holiday I had hoped. 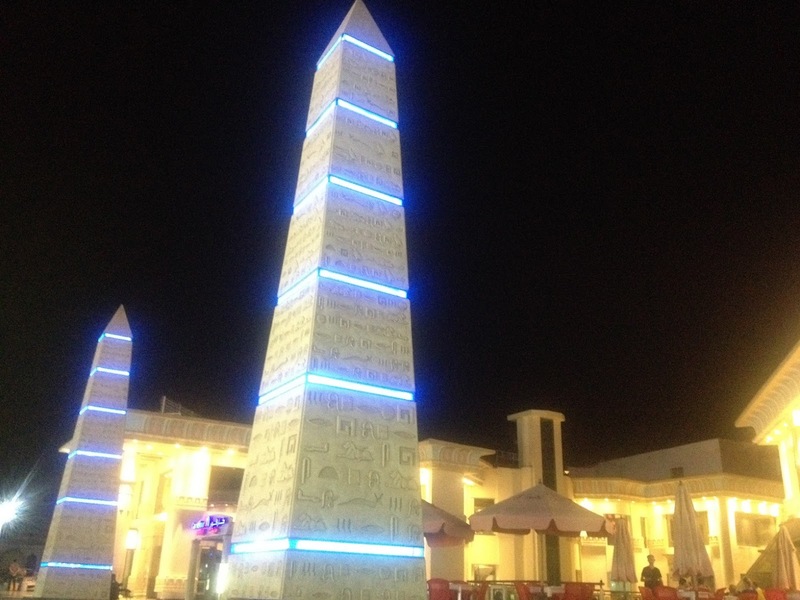 But nonetheless, the Monte Carlo Sharm El Sheikh Hotel gave us the R&R we desperately needed, and we got to mix up the break with an excursion to Cairo, which you can read all about here.